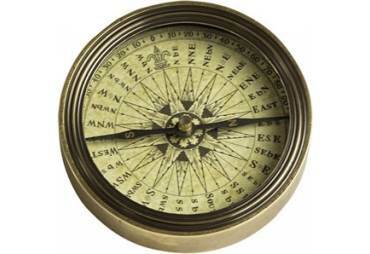 The North Atlantic is an unforgiving place. 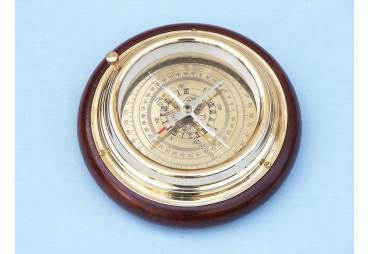 Freak storms, fog banks, and severe weather make navigation a survival issue. 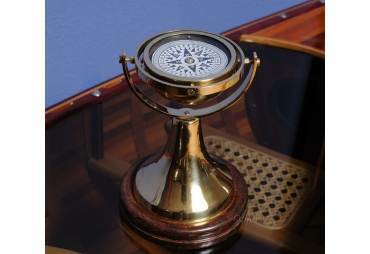 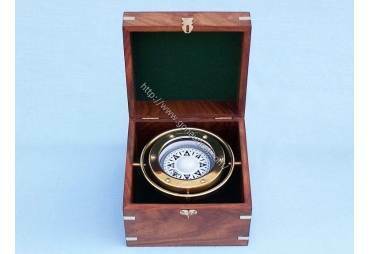 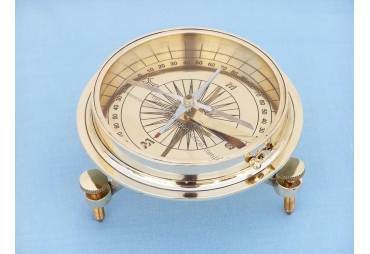 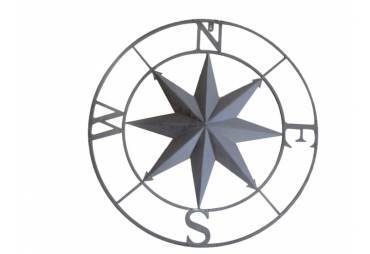 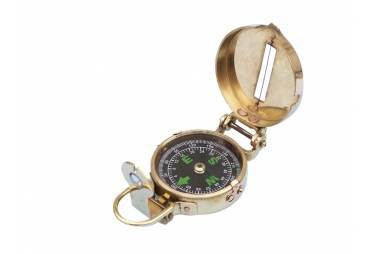 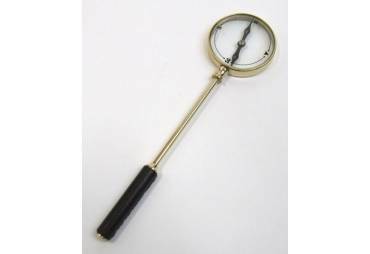 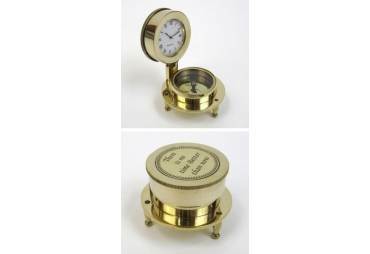 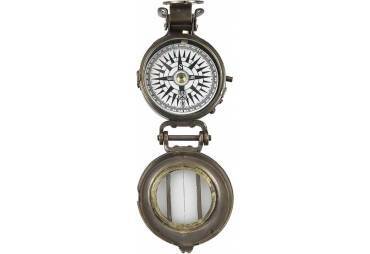 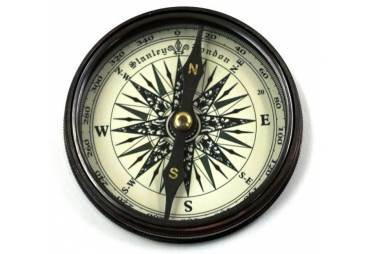 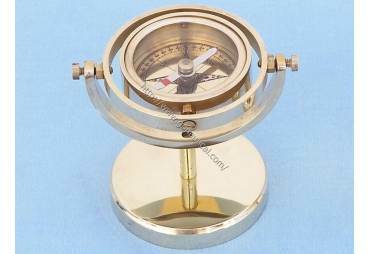 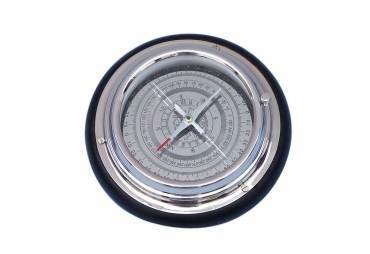 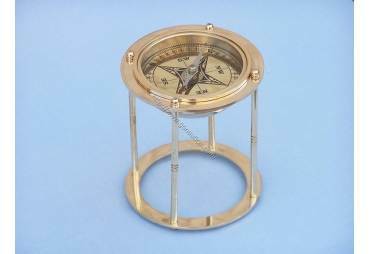 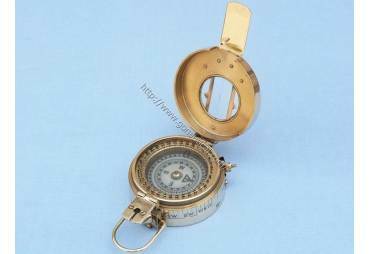 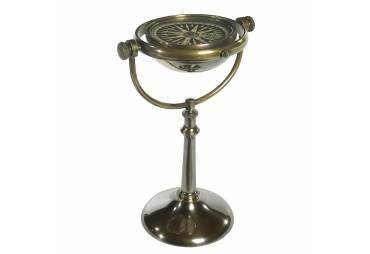 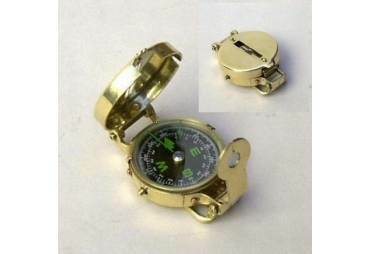 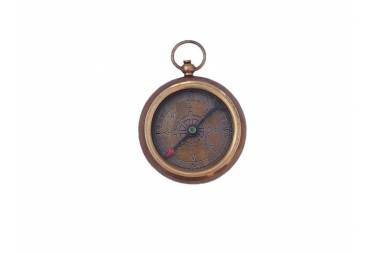 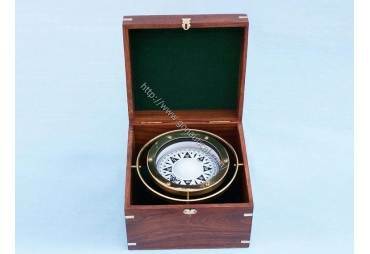 Authentic Models fully gimbaled boxed compass is a faithful replica of a dory compass. 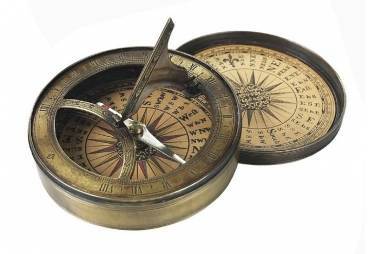 Stacks of dories were sailed to the Great Banks and single fishermen set out with fishing lines and victuals for a day. 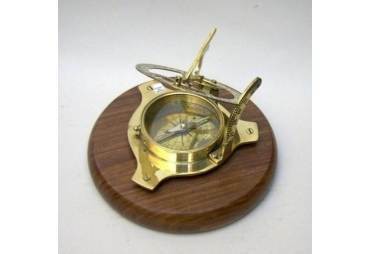 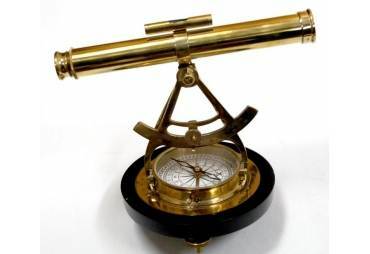 Cod fishers used a similar compass to find their way back to the mother ship, a sailing schooner. 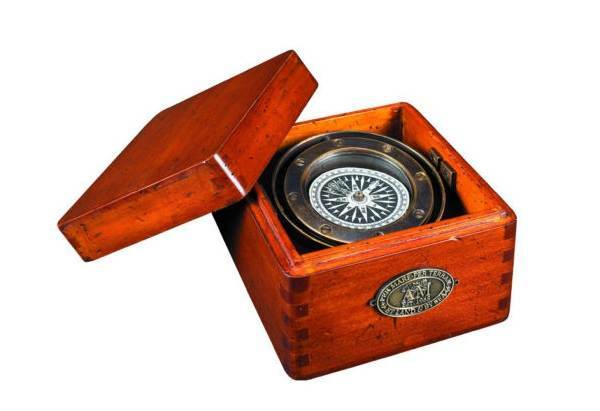 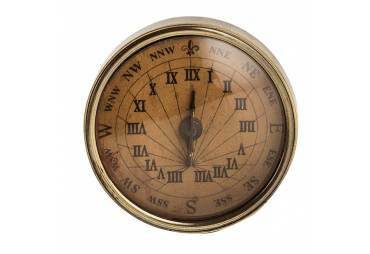 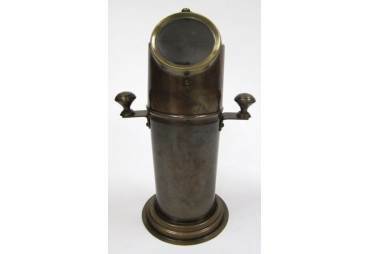 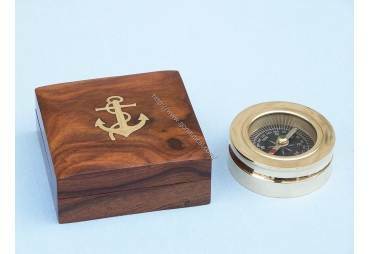 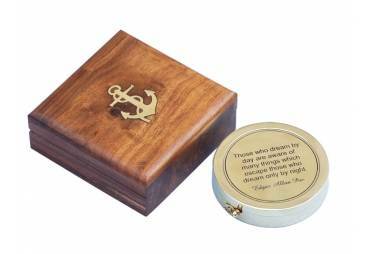 The solid bronze gimbaled compass sits inside an expertly hand distressed, French finished box.